Califone serves literally millions of educators and children in the Pre-K through higher education school environments, and has expanded their product lines to include houses of worship, parks and recreation, business and industry and many other presentation markets. 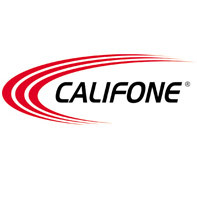 The team members from Califone are dedicated to providing schools with excellent prices and value products. Califone's full line of products are available from Worthington Direct, the leader in school and educational equipment. Califone headphones are known to educators and students around the country. Califone Listening Centers provide all the necessary audio equipment for group learning and are built for daily classroom use.